This five-acre car dealership and service centre is located immediately south of the South Vancouver Bus Loop and Marine Drive Canada Line Station, across from Marine Gateway. 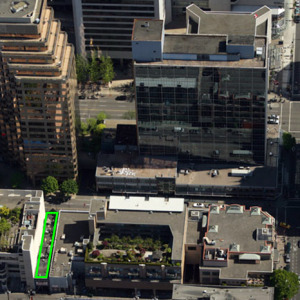 This site is envisioned to continue to transform the Marine and Cambie intersection into a vibrant mixed-use precinct that embraces the transit-oriented lifestyle and provides jobs to the immediate area. 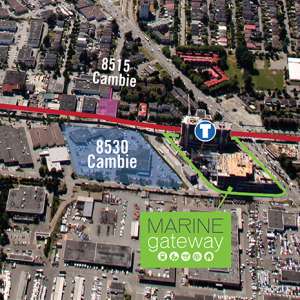 Identified as within a Frequent Transit Development Area due to its immediate adjacency to rapid transit and the bus exchange, 8530 Cambie may include a mix of commercial, service and residential uses.